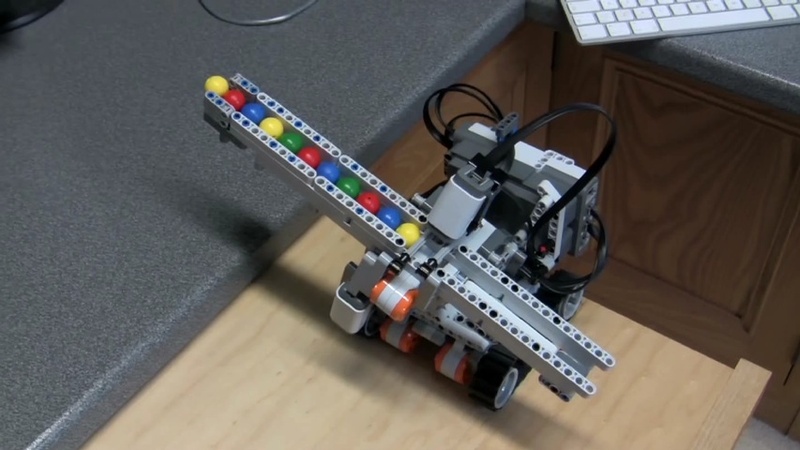 Version 2 Colour Ball Sorting Robot using parts solely from 8547 NXT 2 set. 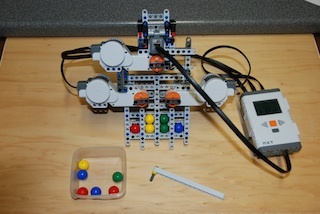 Version 3 Colour Ball Sorting Robot using parts solely from 8547 NXT 2 set. This version is based on a project video I saw on youtube. 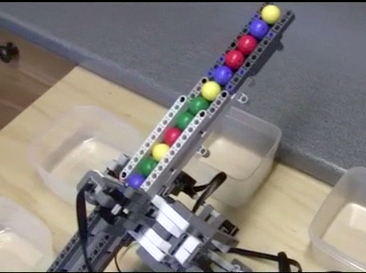 Version 4 Colour Ball Sorting Robot using parts solely from 8547 NXT 2 set. This version is mobile on a tracked base! 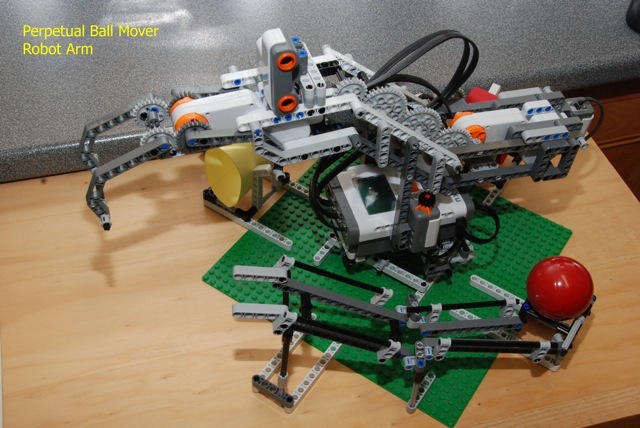 Perpetual Ball Mover Robot Arm, using parts from 8547 NXT 2 set, and 9648 set together with a turntable part 48452cx1, and an extra 15 beam, two extra 24 tooth gearwheels, a 52mm Lego Ball, the whole mounted on a 32 x 32 stud green Lego base tile. 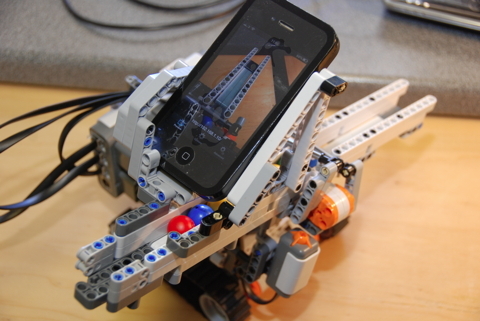 In January I acquired my first Lego Mindstorm set. After much deliberation I decided to buy the Nxt 2 8547 set. However I also wanted to be able to build models produced by the previous Nxt 1 8527 set, so I decided to purchase in addition the Education Resource Set 9648. Finally I also purchased some additional components from BrickLink including a turntable part 48452cx1. With these parts, I spent the last two months working through most of the models on the excellent nxtprograms.com site. I also tried all the bonus models from the 8547 and 8627 sets together with Hans Andersson's sudoku solver tiltedtwister.com/sudokusolver.html (which I couldn't get working satisfactorily) and Philo's fast colour sorter philohome.com/fbs/fbs.htm (which I could!). Eventually I decided to launch out and try and design my own models. In deciding what to build, I wanted to build a static model, rather than one on wheels. This was because of limited floor space, and also, I find that sometimes you don't appreciate the control that is taking place on say a line follower, where the changes are rapid and small (if it works well) and you can't really see what is going on. 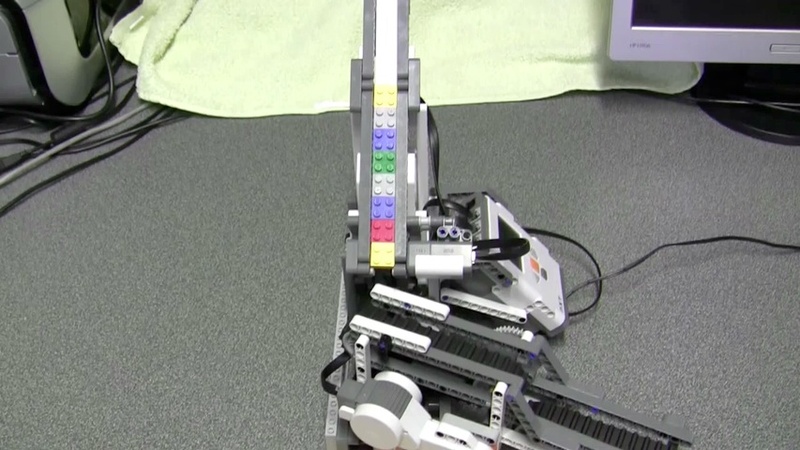 I had enjoyed building Philo's fast colour sorter, although I found it a bit precarious and easy to knock the balls out of place. Also it performed so rapidly that each "run" was soon over. 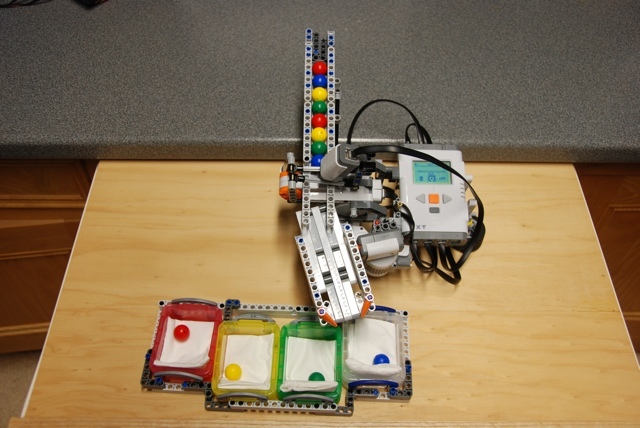 Build instructions including parts list, and a zip file of the programs for this version can be downloaded from the links on the left. Eventually though the model was complete, and I began the programming process. I was more at home with this, having worked as an IT teacher for many years before my retirement.